Family homes are subject to a lot of wear and tear, and kitchens probably gets most of it. Cabinets that were once new when a family moved in with little kids in tow likely look tired and worn out by now. As Scottsdale residents look to the future, they’re rightly concerned about staying in homes and neighborhoods they love while at the same time keeping a firm grip on their finances and savings. Carefully selected home improvement projects can improve the look, feel, and comfort of a home. The value of a home is more than the neighborhood or curb appeal. When it comes to improving the resale value, few improvements pay off more than kitchen and bath remodels. Unfortunately, these can also be the most expensive jobs to undertake. But you don’t have to gut the place and start from scratch to get the look you want. You can avoid the expense of a full from-the-studs-out kitchen renovation by utilizing a semi-custom kitchen remodel based on using your existing cabinets as a base. The likelihood that your cabinet frames are sound is very high. Cabinets are made to take years of use, after all. Cabinet refacing might be the best way to start. In cabinet refacing, your old cabinets are resurfaced. New veneer, finish, or pain is applied along with new hardware. With the money that you save on cabinets – and it can be as much as $10,000 – you can add in some of the extras you’ve always wanted, like customizing the insides with shelves, racks, even lights, and slide-out features. Kitchen resurfacing services in Scottsdale are not hard to find, but finding the right cabinet refacing company is a little harder. 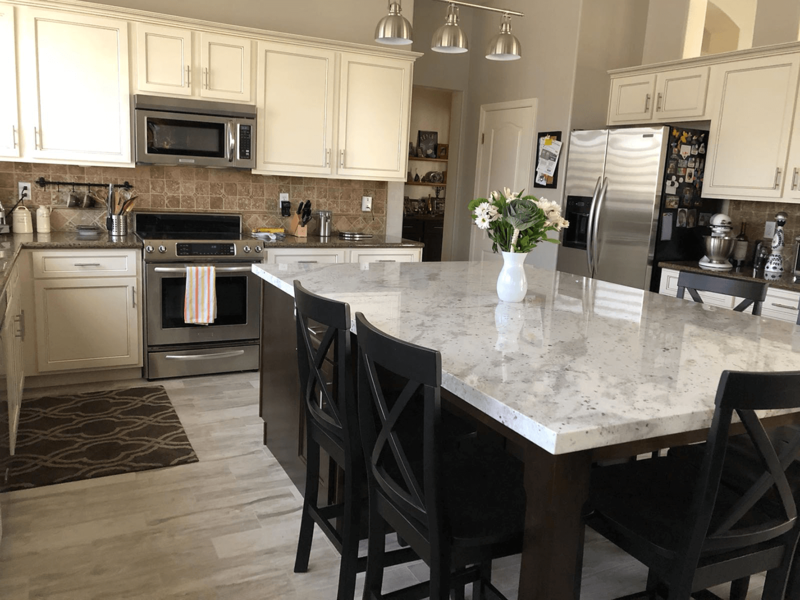 Better Than New Kitchens has been working in Arizona kitchens for twenty years, and we have the experience and portfolio you need to feel confident in letting us into your home. We’ve worked for local homeowners, national companies, and everyone in between, and we want to work for you – a happy customer is the best advertising! Our kitchen resurfacing services are so good, everyone will think they’re new cabinets – even you. 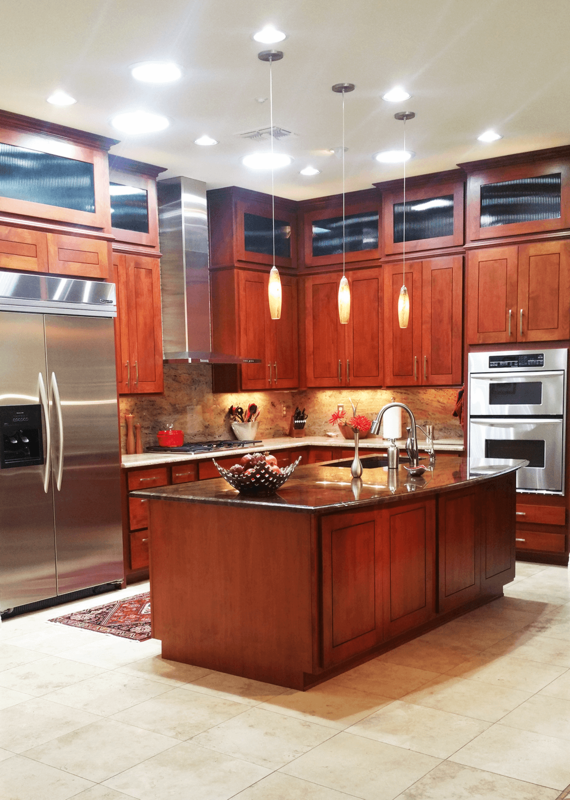 previous post: Kitchen Cabinets: Should You Replace or Reface?